Since a few days a nice patch is discussed at the tt-forums. It is another try to implement PBS in OpenTTD. The first idea of PBS is almost three years old. The old PBS was only supported by NPF (the old ‘new-pathfinder’) and since YAPF became the common standard the development was not continued. Wouldn’t that be a cool thing to try? 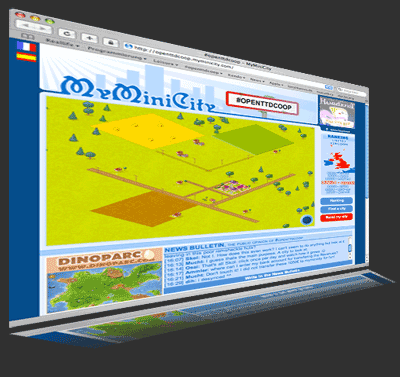 dihedral and me talked about that and we came to the idea to make a “World Wide OpenTTD Game Day”. So, we are searching for a day where most people are online and we all should try to play together. stillunknown created an awesome patch which reduces the CPU usage quite a bit. 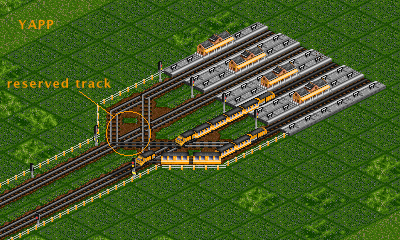 The idea is to reduce the train collision checks with a sort of cache instead of a an on-going loop (details @ tt-forums). Tonight we did some tests how this patch affects the game and it is quite impressing. I don’t want to say this is was a real performance test, but we checked the CPU load with a patched and an unpatched version of OpenTTD (r10048). My local machine was used as the server (PPC G5 2GHz) and as references we used Public Server Game #09 and Game #34. Especially games with a big mainline loop profit from this great patch.